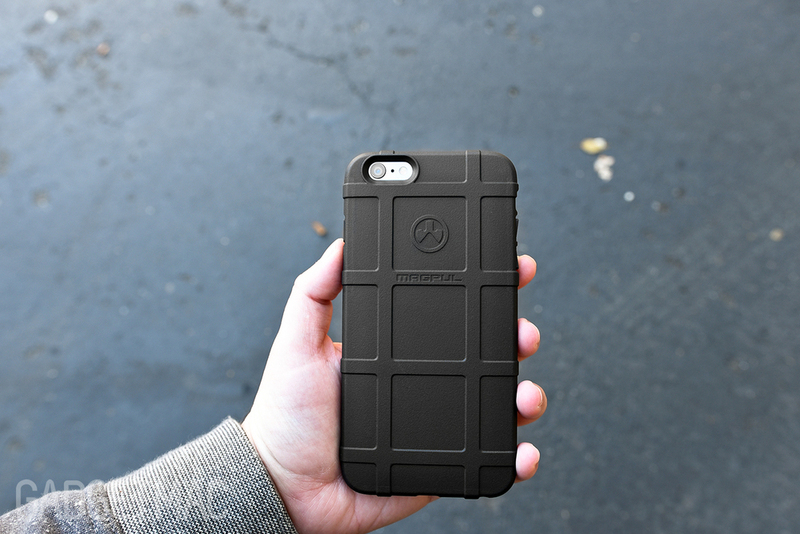 It's not a secret by now, we absolutely love Magpul's smartphone and tablet cases. The company just dropped off their long-awaited Field Case for the iPhone 6 and iPhone 6 Plus, so naturally were super excited to get the opportunity to use it on Apple's slimmest iPhone ever. And if you were expecting something different this time around, more unique looking than the previous Field Case for the iPhone 5s, then prepare for another round of repetition. 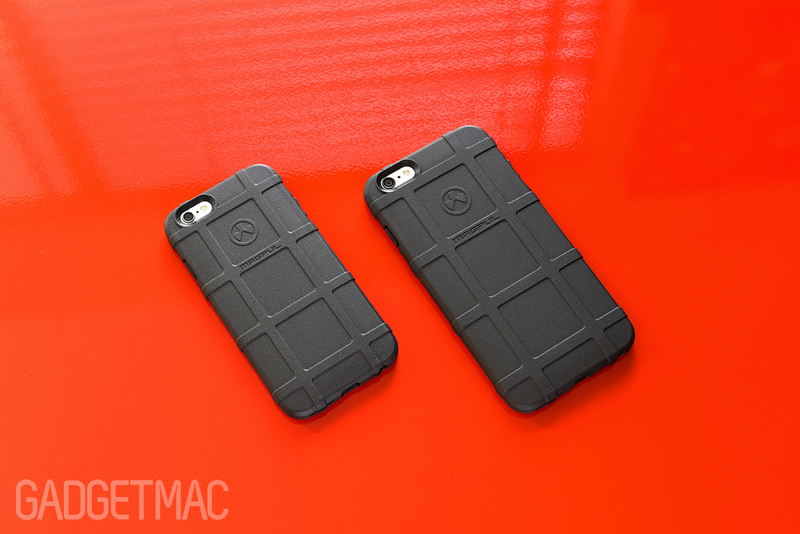 Remarkably, Magpul has not changed the design of its Field Case since the days of the iPhone 3G. The tactical firearm accessory manufacturer is sticking to its iconic PMAG-inspired ribbed rifle magazine styling it created years ago – and we're fine with that. Because it's a design that actually serves a real purpose, and that is grip. The Field Case, which amazingly is still being made in the U.S.A, is one of the few protective iPhone cases on the market that truly focuses on providing the user with the best possible grip without any special coatings and unergonomic shapes. 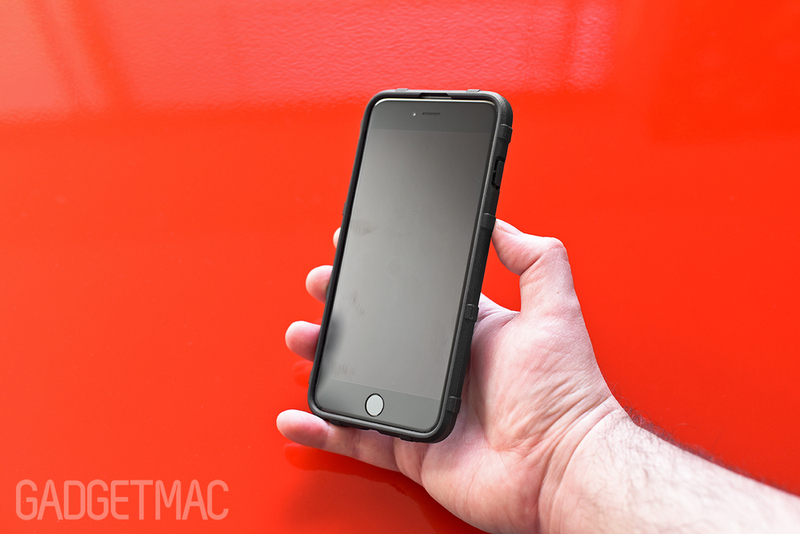 Magpul's Field Case for the iPhone 6 and 6 Plus is of course slimmer than ever before, yet familiar in all the best ways. Look for our full review after the jump! Or just click that buy button now to save time because this case is straigt up brilliant. 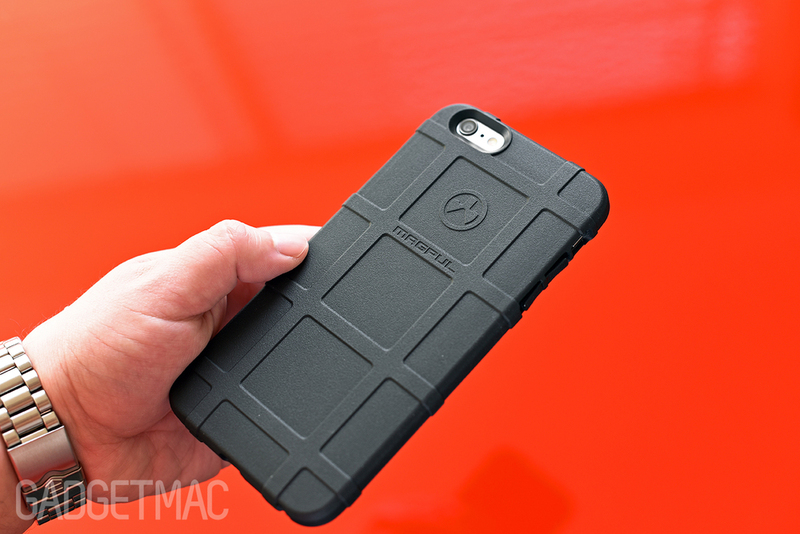 At first glance, the Magpul's iPhone 6 and 6 Plus Field Case is virtually identical to the Field Case before it. It is literally the same case we've reviewed in the past, only cut to size. Because why change something that doesn't need changing, right? 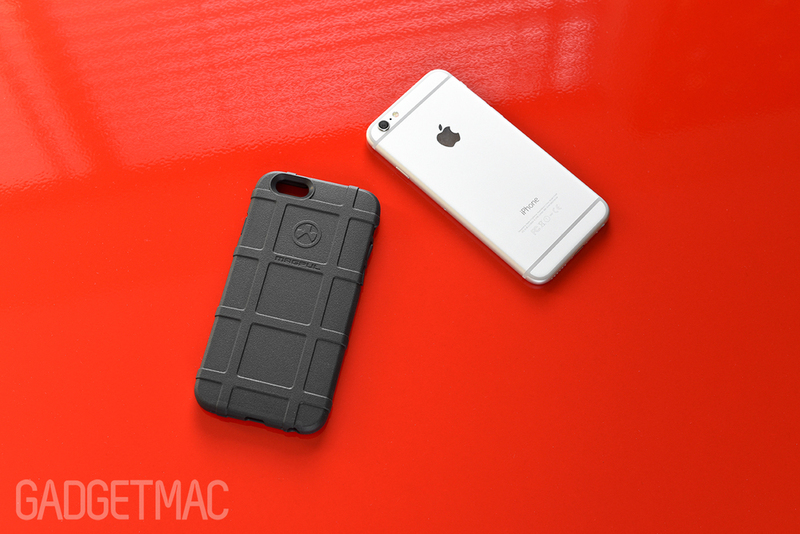 Magpul knows it's case design is fantastic so it kept its iconic styling and great textured material the same, with the exception of a few minor obligatory changes to welcome the all-new and improved iPhone models. The Field Case more or less preserves the thinness of the iPhone 6 and iPhone 6 Plus compared to a lot of other protective cases. And surprisingly, holding such a big device like the iPhone 6 Plus with this case on isn't that much more difficult than holding it without a case at all. You can drop your iPhone in this on flat ground and have the confidence that it'll make it out unscathed. Having said that, we really can't say for certain that the Field Case will be able to protect your device from all drops. It will greatly depend on the height and surface conditions. 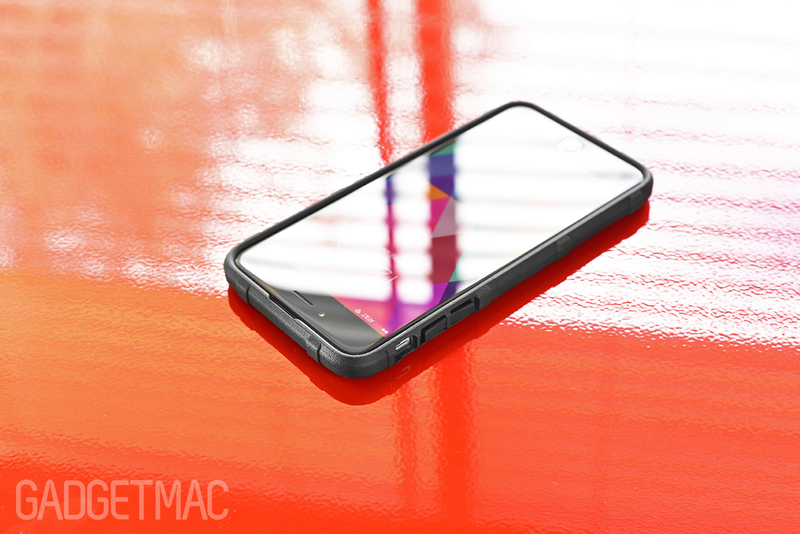 We do know that Magpul's soon-to-be-released Bump Case for the iPhone 6 and 6 Plus will offer a bit more protection than the standard Field Case as it does featues a higher level of impact protection using a dual-layer design. The only noticeable design difference between the iPhone 5s version of the Field Case and the one made for the iPhone 6 and 6 Plus is the fact that the back of the case is more tapered around the edges due to the rounder design of the iPhone 6. And because of this the Field Case is even more comfortable to hold than it ever was thanks to this new sleek design. Granted it's a very small difference that you may not even be able to tell apart unless you have an iPhone 5s Field Case to compare it with. But in the hands you'll definitely feel that subtle new form factor when holding your iPhone 6 or 6 Plus encased with the Field Case. I'm genuinely happy to have a Magpul case again after waiting this long for the company to offer its awesome cases for the new larger iPhones. It really is one of the best cases you can get to thoroughly protect your phone without adding too much bulk. It's a great case to use and that's all that really matters at the end of the day. Here is a visual comparison between Field Case for the iPhone 5s in blue next to the updated iPhone 6 version, which is noticeably less block-like and shares a more tapered edge with the iPad mini and iPad Air Field Case. 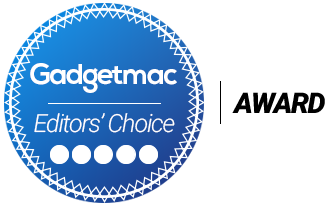 Magpul's cases are consistently one of the very few cases to ever receive a perfect rating from us including our Editors' Choice Award, which we only award to products that we personally love to use and think are worth buying on the spot. 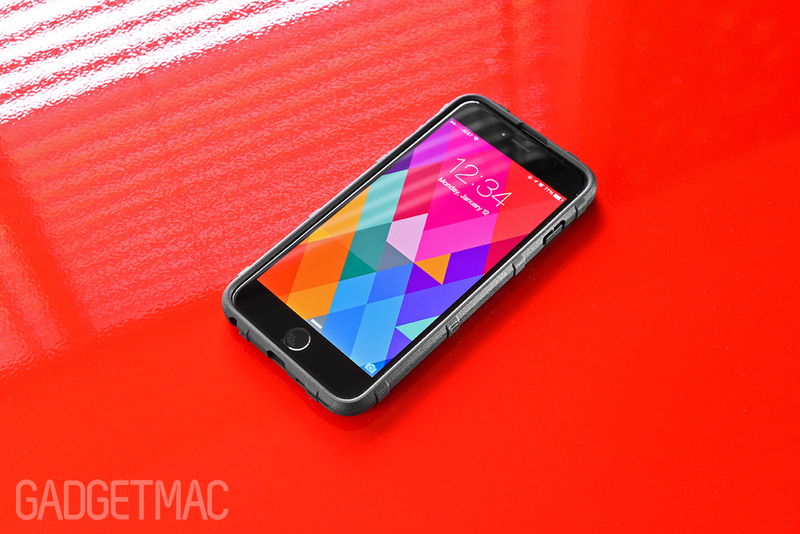 The Field Case for the iPhone 6 and iPhone 6 Plus, unsurprisingly, is no different. Generally speaking expensive cases are typically known to offer better quality and durability, while bargain cases are considered to be a "you get what you pay for" type of deal, but Magpul's American-made $17 Field Case is anything but these two different categories. Like most other Magpul cases, you'll find the Field Casein this simplistic and familiar-looking cardboard packaging, and in a wide range of tactical and camouflage themed colors from standard black to outdoorsy hues like desert tan and olive drab – as well as more bright colors like orange, red, and pink. Other colors like clear, white and blue aren't yet available, but it's only a matter of time before Magpul introduces even more vibrant colors just as it has for all of its iPhone, iPadand Android cases, respectively. 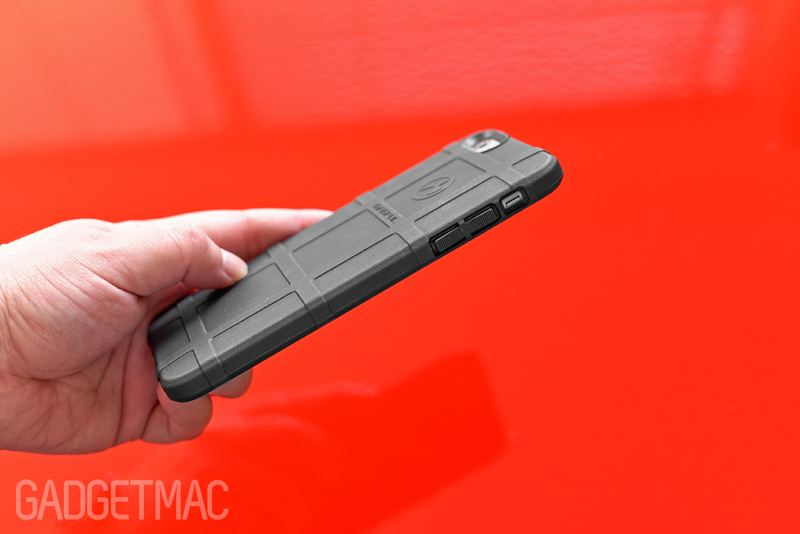 In case you were wondering, the Field Case shares the same style of design with Magpul's popular PMAG weapon magazines that are designed to offer unprecedented crucial traction and grip for flawless operation with or without tactical gloves - which is what inspired the tremendously grippy surface and ribbed pattern featured on the Field Case for the iPhone. The Field Case for the iPhone 6 and 6 Plus shares the same semi-rigid, snap-on design as its predecessors but with an improved constructed body that fits and hugs the iPhone 6 and 6 Plus as if it were a latex glove. It fits flawlessly in such a way that it kind of feels like it becomes one with the iPhone in that there's no give or flex whatsoever. The fit is solid as a rock and that's one of the great aspects about Magpul's arguably innovative design. The Field Case is an extremely easy case to put on thanks to its flexibility. You could technically put in your iPhone 6 or 6 Plus every which way, so there's no wrong or right way to get it into this case. Removal is also ridiculously simple, yet the Field Case always maintains a very snug and precise fit. What is that? I'll tell you. It's what happens when a case such as this takes a heap of bath salts, and the outcome is this crazy fine texture you won't find on any other TPU case. 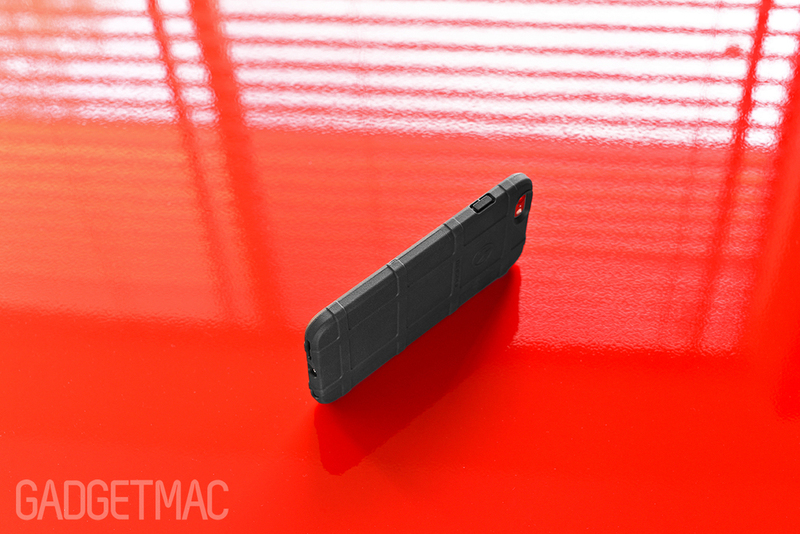 TPU cases are known to have a not so unique characteristic, however, Magpul's concoction of experience resulted in something that is more special than your average TPU-made case. The amount of grip being provided by the Field Case is borderline insane. I'd go as far as saying it's as grippy as rough sand paper, but that just comes out as seeming like an uncomfortable thing to be holding. 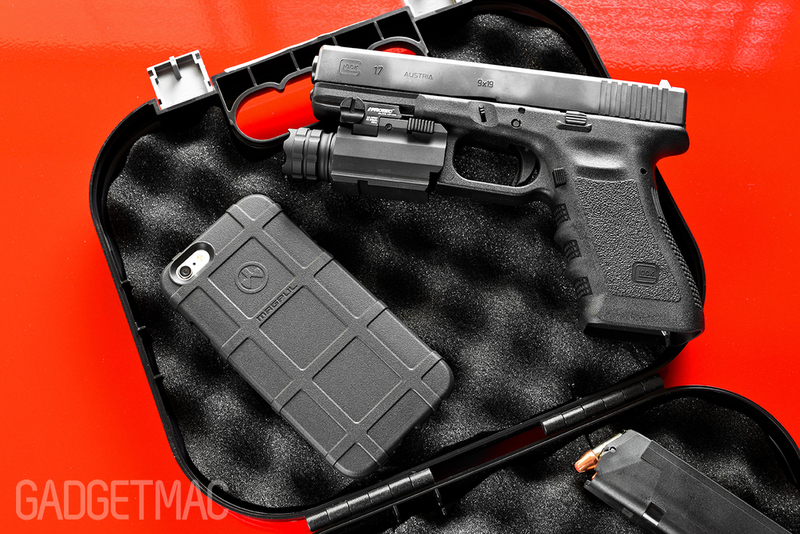 Magpul's expertise in manufacturing some of the most popular tactical accessories certainly transferred over to its iPhone 6 and 6 Plus case in a big way. The textured TPU rubber seems to me like some type of proprietary granular texture I've yet to see on a case of this kind. Notice the pill-shaped camera cutout protects the rear facing camera lens really well even when laying the phone on its back across uneven terrain. It's also worth noting that there's no flashback issues at all because of this - at least with our black Field Case that is. The texture and the slim profile of the new Field Case define exactly why it's an amazing case to use even if you could care less about tactical gear and the whole industry behind it. You have to feel it to believe it, and understand why we're raving about it so much. Because photos and a few words can't express the sensational feeling of using the iPhone 6/6 Plus Field Case. The side ribbing, slim yet protective profile and that extremely grippy durable material makes the Field Case a pleasure to use and hold more than ever before. One of the small details that come with the Field Case's unique textured polymer is that lint and fingerprints fear it even if you pick up a black colored Field Case. Magpul's Field Case is purposely designed to have a low profile so that it won't interfere with how you use your iPhone whilst still featuring a minimal, and well rounded lay-on-the-table designed rim along the edge. Don't get me wrong, you're not going to be enjoying that sweet rounded glass edge with this protective rim around the edge of the glass. But that's perfectly acceptable and really the inevitable tradeoff when going for a drop-protective case such as this. And while we do appreciate tough drop-protective cases such as Urban Armor Gear'sUAG composite case, the Field Case by comparison is slimmer, more refined with its form-fitting and a whole lot more agile to hold. It doesn't feel bulky like the UAG respectably does, and that's appreciated especially when the iPhone 6 and iPhone 6 Plus are one of the thinnest handsets on the market. What's more is that any tempered glass screen protector will fit with the Field case without any issues. 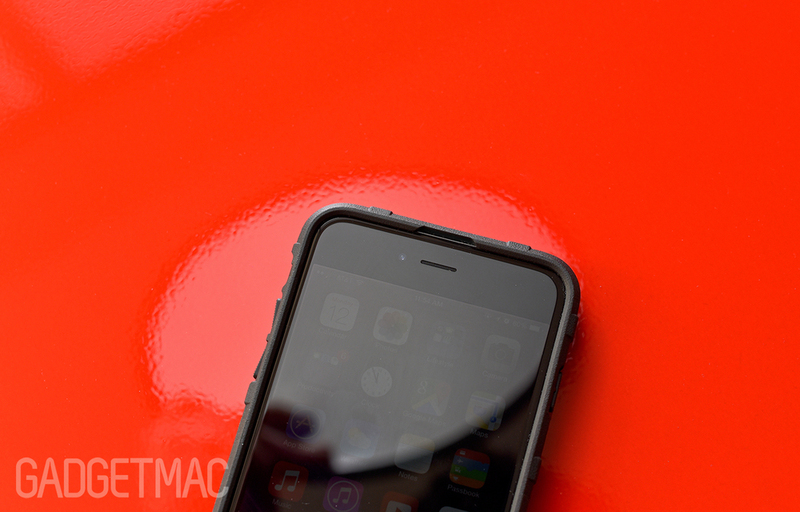 We also much prefer the Field Case to Spigen's Tough Armor due to the incredible amount of grip it offers up. The Field Case features uniquely designed integrated volume and sleep/wake buttons which compliment the grip-enthused styling, and offer superb tactile feedback when pressed. 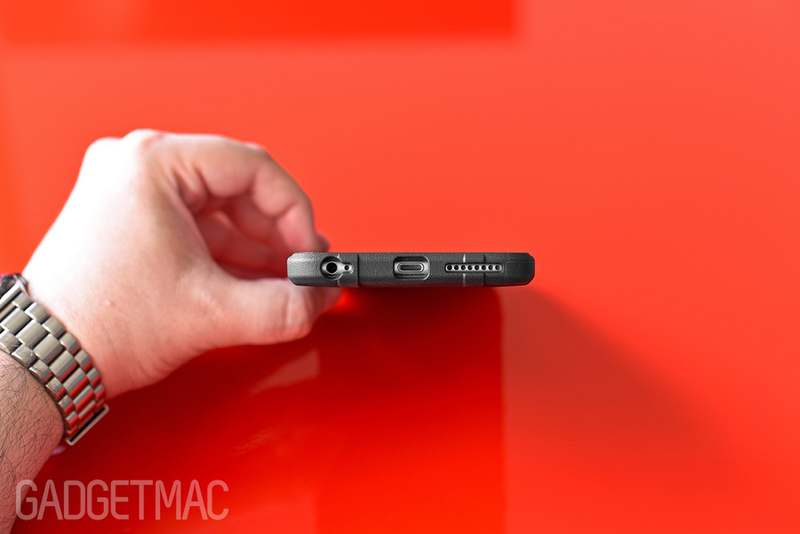 Magpul did improve the buttons on the iPhone 6 and 6 Plus version of Field Case with these partially separated buttons in order to enhance the tactile feedback when pressed. Only on side of each button is actually attached to the rest of the case, which helps the buttons to travel more freely within the case, and ultimately requiring less force to press. It may be hard to tell with the case on, but you can actually see that when the case isn't on the iPhone there is one side around the volume and power buttons where there's a notch made in the material which separates the button a little so that it can move a bit more freely when pressed. This makes a noticeable change for the better when you press the Field Case's integrated buttons compared to every other Field Case or Bump Case Magpul has made. I also did not notice any debris getting through this opening since the case is indeed tightly pressed against the side of the iPhone. Another change Magpul had to make this time around is with this narrow notch above the top earipiece, supposedly so that the various sensors aren't hindered by the Field Case's raised lip around the front of the device per Apple's guidelines. Cutouts for the 3.5mm audio and Lightning connector ports are designed to support the Field Case's form-fitting rigid construction without impeding on the functionality of using the iPhone's ports. You'll be able to easily plug in any modern 3.5mm audio plug so long as it's of the slim variety, however, there are obvious limitations as to which type of additional accessories you might be able to use with this case on. We haven't seen a case that can accommodate large adapters without sacrificing its rigidity support around the bottom end of the case where usual flexing or sagging of the case would otherwise occur. You'll still be able to use compatible docks like the Twelve South HiRise Deluxe, which happens to be our favorite Lightning dock might I note, with no issues at all. If you drop your iPhone 6 or 6 Plus inside this case, chances are it'll be safe from a waist height drop because of the shock- absorbing polymer and ribbed design. I wouldn't recommend it as a tough case, but instead as a very protective case that'll keep your iPhone safe from the occasional drop, scuffs and scratches without imposing any bulk whatsoever. There's just something special about Magpul's cases that feels right. If your debating on what your next case purchase should be, don't. Get this case. It's arguably one of the best and it is sure to remain on your iPhone6 or 6 Plus until the day you decide to switch to Android. Magpul'sField Case has once again made it to our top favorite cases to use, this time with the iPhone 6 and iPhone 6 Plus. You'll be hard pressed to find a similar case that'll offer you as much good-feel grip at such a low profile and overall quality at such a low-ball price. If you're having a hard time getting a secure hold on your iPhone 6 or 6 Plus then you must consider getting a case like Magpul's Field Case. Your slippage woes will be a thing of the past. The Field Case does what it does best - giving handheld devices like the iPhone 6 and 6 Plus that much needed grip thanks to its extraordinarily textured rubbery finish while the raised ridges across the back and sides provide an additional anti-slip purchase all around the device. The Field Case is such a great case worth more than its price suggests, and because of that it once again wins our Editors' Choice Award and highest rating. There's no faulting it...unless you just don't like the way that it looks. It's the certain type of case that I personally and repeatedly purchase for every new device that I've got whenever possible.